Want tosave 18,95 kn on this order and become Loyalty program member? Indian Woodcut Tree (Boswellia serrata) is among the oldest known crops. The probably long tradition of incense in Indian cuisine proves beneficial, effect in many areas. The resin (air dried) is used, which is obtained after cutting the bark. It is especially appreciated for the content contained in the resin. 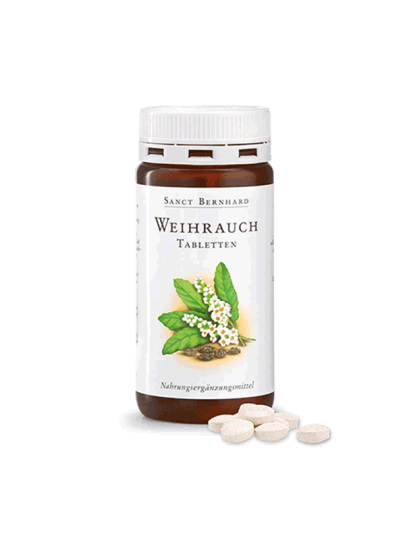 Each tablet contains 400 mg of Indian tamian extract with at least 60% boswic acid. Take 1 tablet daily with plenty of liquid, along with a meal.